Holiday parties are in full swing which means host/hostess gifts are a must. I have to admit, I’m not the most hardworking when it comes to host gifts. As much as I love the idea of giving something creative or extra thoughtful like this or this, I almost always find myself bringing a nice bottle of wine or champagne to a party. After all, who doesn’t love free booze? 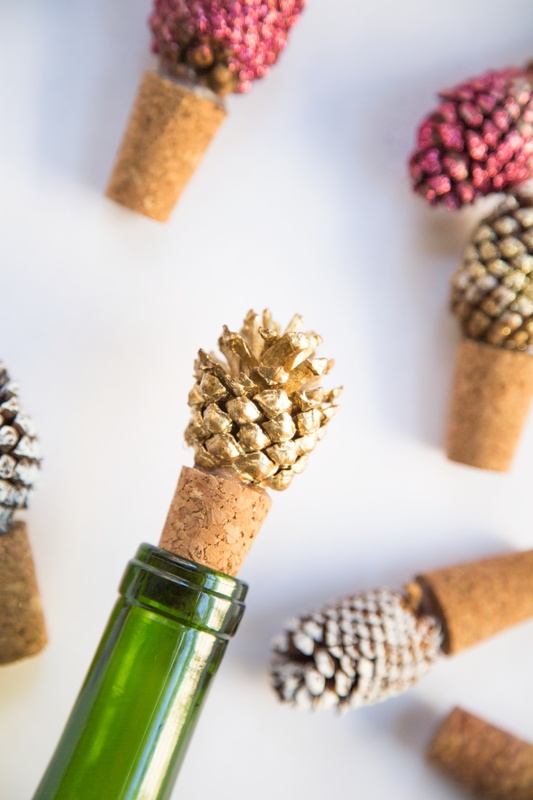 This year, however, I decided to up my wine bottle offering with cute seasonal cork stoppers. They’re super easy to make and completely adorable. Want to learn how to make them? 1. 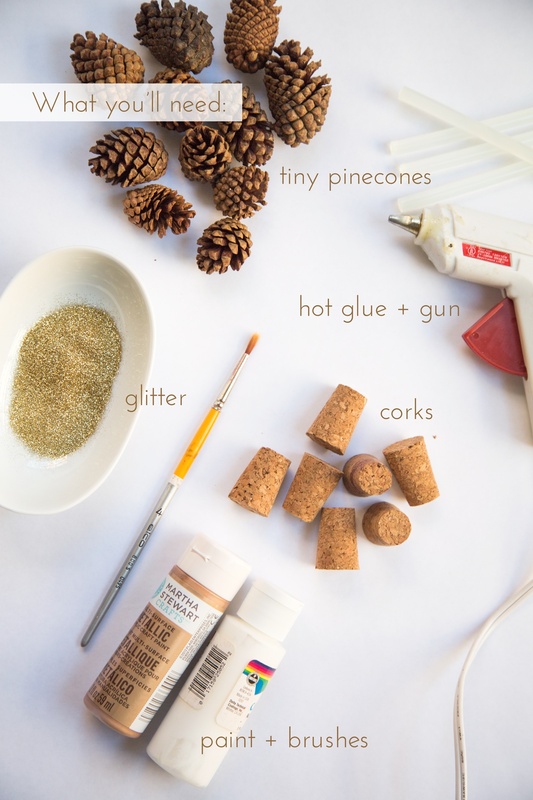 Paint pinecones and add glitter while paint is wet. Allow to dry. 2. 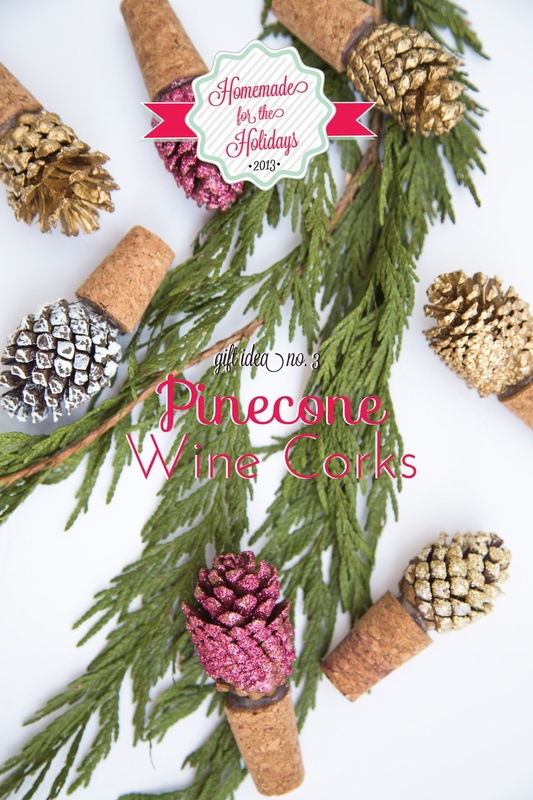 Hot glue pinecones to corks and press together until glue cools and pinecones adhere to corks. 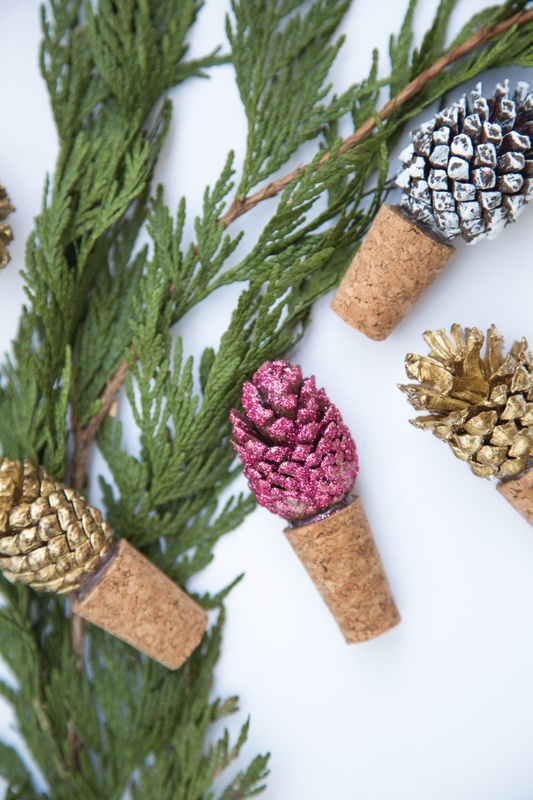 Note: If your worried about glitter getting all over the place, finish your glittery pinecones with a clear coat of paint or Mod Podge. This will fix the glitter in place and it won’t be able to dust off. This is really cute! Plus, I think most people would appreciate this. Its pretty and homemade, which is so much more meaningful than just a bottle of wine. Love this! It might be too late in the season for me to make these this year, but I will be book marking this for next Christmas.